CFO Alexander Seitz: "We are keeping Audi on track in an exceptional year"
Ingolstadt, August 7, 2018 – In the first half of 2018, the Audi Group increased its revenue to €31.2 billion (AUD $48.7 billion) and its operating profit to €2.8 billion (AUD $4.3 billion). The Four Rings' operating return on sales followed a stable growth and amounted to 8.9 percent, as in the first half of last year. As forecast in the annual report, the company expects significant fluctuations of its key financials and volume figures during 2018. Following an increase in deliveries to customers of 4.5 percent in the first half of this year, there will be an increasingly negative impact in the second half of the year from the changeover to the WLTP test cycle and the most comprehensive transformation of the model portfolio in Audi's history. Positive effects will result from the systematic implementation of the Audi transformation plan that was started at the beginning of the year. "We successfully mastered the first half of this exceptional year and kept Audi right on track," says Alexander Seitz, Member of the Board of Management of AUDI AG for Finance, IT and Integrity. "The response to our new models and technologies shows that they will significantly move Audi forward again. To those ends, we are mastering the current phase of upheaval and transition. Because with the climax of the renewal of our model range and the enormously demanding changeover to the WLTP standard, challenges will increase again in the coming months." In the current third quarter, the new generation of the Audi A6 – the brand's bestselling full size model – will be launched in the first markets. In addition, the Q8 will extend Audi's model range in the premium top segment. The fourth quarter of 2018 will feature the market launch of the series version of the fully electric Audi e-tron prototype, as well as the management of production ramp-ups and phase-outs in the compact segment. With the new Audi A1 and the new Q3, the company will also achieve important milestones in the realignment of its production network in order to further optimise synergies within the Group. In parallel, Audi is continuing the worldwide market rollout of the new A8 and A7 models; the brand will also start its prestige initiative in the US market in the fourth quarter. From January through June, the company delivered 949,282 vehicles of the Audi brand to its customers (2017: 908,683). The worldwide increase in deliveries of 4.5 percent was primarily driven by the positive development in Asia and North America. The Audi Group's revenue increased by 3.9 percent to €31,183 million in the first half of the year (2017: €30,011 million). With an increase in operating profit of 3.0 percent to €2,761 million (2017: €2,680 million), the operating return on sales was 8.9 percent, the same as in the first half of last year. Operating profit does not include the results of the joint-venture business in China, where Audi achieved its strongest growth in deliveries to customers in the first half of the year. Assigned profits from the Chinese joint-venture business are presented under financial result. The significantly increased net cash flow of the Audi Group amounted to €2,672 million in the first six months of this year (2017: €1,925 million). The net cash flow in the prior-year period was impacted by higher cash outflows in connection with the diesel crisis. The robust financial health of AUDI AG is increasingly supported by the systematic implementation of the Group-wide transformation plan that was initiated at the beginning of the year. 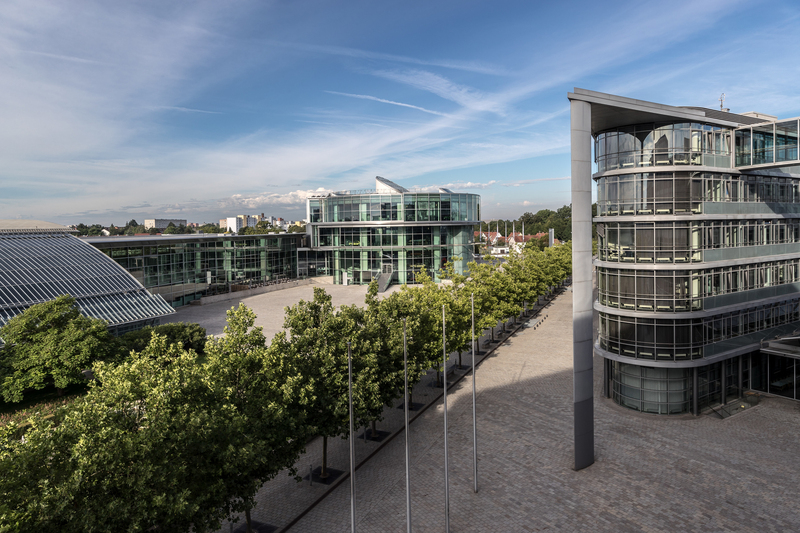 By the year 2022, this program of measures should achieve positive earnings effects totaling €10 billion and prioritise resources for key innovation areas of the focused strategy 'Audi.Vorsprung.2025'. By the middle of this year, the company had already implemented the first measures of the Audi transformation plan with a positive impact on operating profit of more than €0.5 billion in the full year, and will continue with thorough application of the program. With stricter spending discipline, the ratio of research and development expenditure to revenue was 6.5 percent in the first half of the year (2017: 6.9 percent) and the capital expenditure ratio was 3.4 percent (2017: 3.9 percent). The 2018 main investment focus will be in the second half of the year. The Audi Group confirms its forecast for the full year. During the further course of the year, the company will continuously analyse and evaluate the ongoing development of risks, in particular those arising from the adjustment of the model portfolio to the new WLTP measuring method. As announced in the annual report, the company expects significant fluctuations during the year in production, inventories and deliveries, as well as in its key financials. In this context, the first half of the year featured a significant increase in production levels for anticipatory stockpiling: In the coming months, an optimised supply of the distribution and retail network will be necessary due to the Audi model initiative and above all the changeover to the WLTP test cycle. This is meant to enable dealerships to bridge interruptions in the freely configurable range of certain models that occur as a result of the WLTP changeover, partially with cars available directly on site. For the year as a whole, deliveries by the Audi brand are expected to reach the previous year's level, with a slight increase in revenue for the Audi Group. The Audi Group continues to anticipate an operating return on sales within its strategic target corridor. The company expects the research and development expenditure ratio to be slightly above the long-term target corridor of 6.0 to 6.5 percent. Audi also assumes that the capital expenditure ratio will be slightly above its target level of 5.0 to 5.5 percent. The Audi headquarters in Ingolstadt.